The fourth installment in the best-selling life simulation series – The Sims. The Sims 4 was developed by Maxis Studios, also known for SimCity and Spore. The player, once again, controls the lifes of a virtual family. Character editor lets you set not only alter the physical appearance of each Sim, but also define their personality, character, and goals. Your main task is to provide for the needs of your Sims – starting with a place to sleep and regular meals and including their intellectual development as well as professional career. As compared to previous games in the franchise, The Sims 4 offers much more developed social options, letting you interact with other players (e.g. share houses and throw parties together). The third major installment in a life simulation game series, The Sims. The title was developed by The Sims Studio in cooperation with Maxis and Electronic Arts. As per usual, The Sims 3 lets you take control of a life of a virtual character from the cradle to the grave. Your job is to provide for the needs of your family of Sims when it comes to their social interactions, family matters, and career. The Sims 3 introduces two significant novelties to the game: lifetime wishes and a personality system that attributes 5 dominant character features to each Sim. As compared with previous installments in the franchise, the game’s 3D visuals were significantly improved. Another mobile installment in the life simulation game series by Electronic Arts. As per tradition, The Sims Mobile focuses on simulating and shaping the lives of your virtual characters. You can choose their appearance, personality, and life goals, from career paths to hobbies. During the game, the Sims' living quarters can be modified by choosing from a wide range of furniture, decorations and accessories, as the game progresses, you unlock additional activities and locations. A certain novelty is the ability to shape the history of whole families. When your character achieves their goals and retires, you can unlock new interests and career paths for next generations. Thus e.g. the grandfather's achievements can inspire his children or grandchildren to choose a similar career path. A sequel to the bestselling human life simulation game – The Sims (2000). 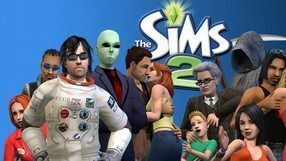 The Sims 2 was developed by Maxis Studio (SimCity, EA Land, and others) in cooperation with the Electronic Arts company. Players again take care of virtual characters leading them through their entire lives – from early childhood till elderly age. The main goal is to achieve as high Life Score as possible, which stands for how well a sim leads his/her life. When compared with its predecessor, The Sims 2 offers much more complex character creator and a wider array of available objects. A new, more efficient game engine allowed for presenting the life of the sims in fully 3D graphics. 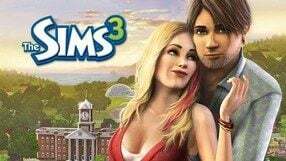 The first large expansion for the third installment in the bestselling The Sims series by EA Maxis. 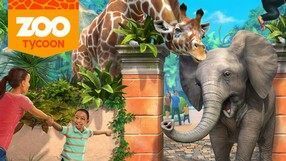 The expansion titled World Adventures allows your Sims to leave the noisy city for a while and relax in several fictional locations — although all of them were based on real-life places. During their exotic voyages, your Sims can make new friends and try a variety of previously unavailable activities, such as learning martial arts in a Chinese monastery, exploring Egyptian tombs, or taking a romantic walk in the French Champs Les Sims. Your Sims can also bring movies, photos, and souvenirs from their journeys. For the players who'd rather like to stay at home, there are new wallpapers, carpets and other furnishing elements, which bring a breath of fresh air to your Sims' lives. 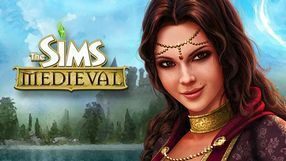 The Sims: Medieval is a spin-off installment of the popular life simulator The Sims. The title was developed by Maxis. As the title suggests, the game takes place during the Middle Ages, albeit with a humorous spin. Similarly as in the other Sims games, the player must take care of the needs of the virtual characters. Depending on selected profession (for example king, knight, wizard, bard, blacksmith), the events are shown from different perspective and the available missions vary. The creators of The Sims: Medieval focused on immersion and allowed the players to have strong impact on the shape of the game world, including the looks of the characters. A bestselling life simulator developed by Maxis, a studio that specializes in the genre (they've created SimCity, SimTown and other titles). The Sims enables the player to take care of a virtual family of Sims. During the game the player must take care of various needs of his characters – starting with typically physiological ones (eating, toilet, hygiene etc. ), through social relations, to career. The player has great freedom in expanding his family’s house, which can be furnished with various items that will be useful for the Sims. 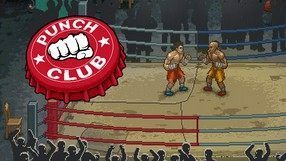 The gameplay mechanics are based on very simple principles and lack any violence, making the game a good title for casual players. A specific humor and large number of funny animations of character’s reactions are worth mentioning. 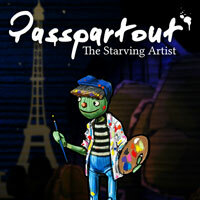 An original production in which the player plays the title artist trying to earn money for wine and baguettes by selling paintings he has painted. The title allows us to create these works by hand, without imposing any restrictions on what is to be found on them. However, while having fun, it is worth taking into account the varied tastes of art connoisseurs who are our customers. An advanced farm simulator with RPG and life simulator features. The title was developed by Toplitz Productions. The player assumes the role of a rookie farmer who inherited a farm after his deceased grandparent. Protagonist’s task is to lead the ruined farm to prosperity and to earn enough money to modernize it. 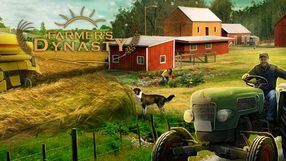 Farmer’s Dynasty features a vast open world that can be freely roamed (on foot and by using various vehicles; in addition to the inherited tractor the player can use more modern and advanced vehicles). The main pillar of the game are tasks that push the story forward. Among them there are objectives unrelated to farming – sometimes player must also repair some tools or modernize a specific building. The player’s duties also include breeding animals, selling surpluses of the crops. Later in the game the player can create a family and raise offspring. A third part in the Medieval-themed economic strategy game series with RPG elements, whose first installment was created in 2002 by JoWooD Entertainment. 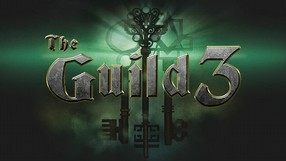 This time, developed by Nordic Games, The Guild 3 combines the key features of its predecessors with modern visuals as well as numerous novelties and improvements in the game mechanics. Once again we visit a medieval world, filled with wars, conflicts, and political schemes to slowly rise to the top. The iconic feature of the gameplay is the freedom in choosing our path to success. Depending on player’s preferences, we can pursue our goal as an aristocrat, a merchant, a criminal or virtually anyone else. 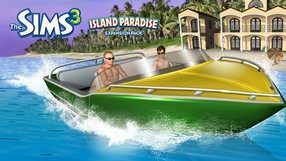 The Sims 3: Island Paradise is an extension to The Sims 3. The main theme of the patch is seaside holidays. Sima are given the opportunity to build their own holiday resort or floating house. In addition, there is the option of diving under the surface of the ocean. 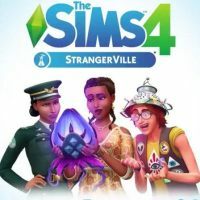 Another add-on to EA Maxis' popular life simulator, The Sims 4, which gives players the opportunity to visit StrangerVille's unusual city and get to know its strange inhabitants. Product created on the basis of such titles as The Sims or The Partners. The essence of the game is to observe and influence the relations between two lonely people who have rented a flat together in one of the districts of a big European city. The Sims 3: Ambitions is an extension to The Sims 3 simulation game released in 2009. The expansion introduces a number of new career paths, so that player-controlled heroes can become scientists, architects, detectives, firefighters and even ghost killers, among other things. Developers from Electronic Arts also took care of a number of new locations where the game takes place. 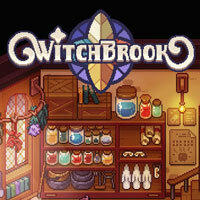 A game that combines elements typical of the RPG genre and life simulators, such as Stardew Valley or Harvest Moon series. In Spellbound we play the role of a young man who attends a local school of magic. 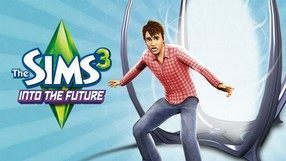 The Sims 3: Late Night is the third full-size extension to The Sims 3 life simulation by developers from Electronic Arts. Add-on introduces a new location - Bridgeport city, where you can dance, have a drink or flirt with other Sims. The creators also enriched the career paths of the characters with the professions of actor and director. One of many add-ons to The Sims 3. The extension takes the sims into the future. Thanks to this it is possible to use futuristic gadgets and devices, as well as dress in clothes not directly from this earth. The creators have also made time travel available, which affects the lives of the guests. The Sims 3: Generations is a fully fledged extension to The Sims 3 life simulation. The add-on was prepared by developers from EA The Sims studio as a response to fans' requests. 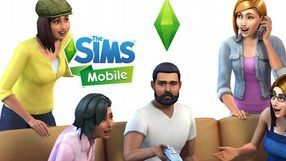 The creators decided to expand the various stages of Sims' lives with new events, including youthful tricks, bachelor's evenings and the crisis of the middle age. In addition, players can capture unforgettable moments and publish them on the Internet. A clone of such games as The Singles or The Sims for adult audiences. In the game we run our own character and try to satisfy her professional and social needs. As the name suggests, it does not lack a bit more spicy accents, including the ability to pick up other characters. Production is characterised by a high degree of freedom of action. Another production in The Sims franchise, the best-selling series of life simulation games by EA Maxis, previously known as Maxis Software. Unlike the previous games, which focused on the single player mode, the Sims Online is an MMO game. You start out with a small piece of land, which you have to manage — you can build your house there, or you can open a museum, a gym or a coffeehouse. Afterwards, you're free to meet your neighbors and start friendly or unfriendly relationships with them, and even join forces with them, building multi-family houses, conducting business, or even starting a religion. The production focuses on raising the Sims' standard of living and amassing a fortune. The game's servers were officially shut down on 1 August 2008. 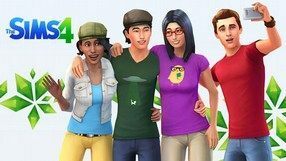 The seventh expansion for The Sims 4, developed by Electronic Arts. This time the player can turn their Sims into vampires – after the transformation your protégés gain supernatural powers, such as the ability to assume the form of a bat or become a cloud of mist. Sims can also control the minds of others and feed on their life energy – another way to regenerate their strength is to rest inside a coffin. Note that transformed characters shouldn’t get exposed to direct sunlight, because these can weaken or even kill them. 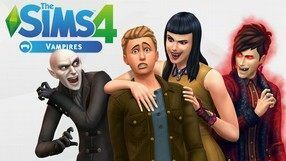 The Sims 4: Vampires also brings along a brand new location (Forgotten Hollow), with such features as a grim graveyard, new interior decorations as well as extra customization options for Sims – some of the things that you can adjust are the length of fangs, skin complexion and eye color. Singles 2: Triple Trouble is a continuation of Singles: flirt up your life published in 2004. The first part consisted in observing and properly arranging relations between the two lonely heroes. This time the programme is not limited to the control of two people. The Sims 3: Magic Sources is an addition to the popular life simulation, The Sims 3. Prepared by EA The Sims Studio's development team, this extension allows title Sims to visit Hidden Springs, which is famous for its paranormal phenomena. The creators took care of a large number of new clothes, hairstyles and accessories for virtual characters. 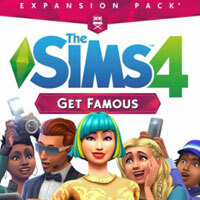 The Sims 4: Get Famous allows your Sims to become actors or influencers, and develop their careers in such professions. This expansion also introduces new locations, challenges, and facilities.